Queen are among the acts set to be receive with a Grammy Lifetime Achievement Award in 2018. Joining the legendary rockers as recipients of the prestigious honor from The Recording Academy are Tina Turner, Neil Diamond, Emmylou Harris, The Meters, Louis Jordan and Hal Blaine. A special award presentation ceremony and concert celebrating the honorees will be held this summer, with additional details to be announced in the coming weeks. "This year's Special Merit Awards recipients are a prestigious group of diverse and influential creators who have crafted or contributed to some of the most distinctive recordings in music history," says Neil Portnow, President/CEO of the Recording Academy. "These exceptionally inspiring figures are being honored as legendary performers, creative architects, and technical visionaries. Their outstanding accomplishments and passion for their craft have created a timeless legacy." As part of their Special Merit Awards, the Academy have also named late concert promoter Bill Graham, record label veteran Seymour Stein, and conductor John Williams as Trustees Award honorees, while Eventide, Inc.’s Tony Agnello and Richard Factor will be recognized as Technical Grammy Award recipients. Formed in London in 1970, Queen released their self-titled debut in 1973 and went on to become one of the biggest-selling artists in music history. 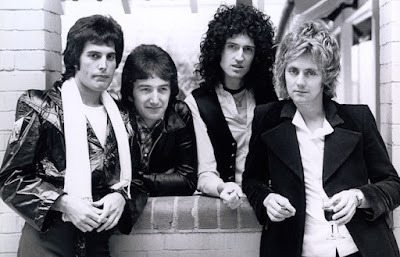 The band has received multiple Ivor Novello Awards, an MTV Global Icon Award, and have two recordings enshrined in the Grammy Hall Of Fame – “Bohemian Rhapsody" and “We Will Rock You”/“We Are The Champions" – which continue to remain staples at sporting events and arenas around the world. Queen frontman Freddie Mercury passed away in 1991 at the age of 45 due to complications from AIDS, while bassist John Deacon retired from the music industry in 1997. Guitarist Brian May and drummer Roger Taylor have continued the Queen legacy with live performances, including tours in recent years with American vocalist Adam Lambert; the pairing will next perform in Australia and New Zealand for a series of shows starting in February. Queen delivered the No. 3 Rock News Story Of The Year and were named the No. 5 Rock News Artist Of The Year as part of the 2017 hennemusic Rock News Awards.